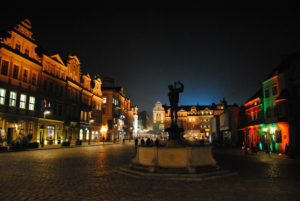 Poznań is one of the biggest Polish cities and the capitol of Greater Poland. The city is an important industrial ,logistic , turistic and trade center. There is the biggest and oldest Trade Fair Center in Poland (Poznan International Fair ). Poznań fairs holds 50 % of all trade fair events in Poland. Poznań as the biggest exhibition center in Poland and brings a huge amount of visitors every year. It is highly recommended to be the part of this fair and present your business with the very unique fair stand . Arla-Com designs and construct the very unique fair stands for Poznań fair but also for the most of european trade fairs. As a Polish business International Poznan Fair is very important exhibition center in europe for us. Every single year we design and build another new unique fair stands for our clients. Our realizations are often very apprecieated . 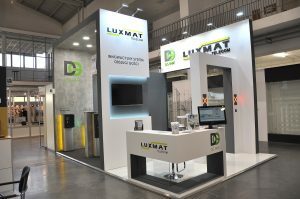 As one of many examples of our professionally executed projects is the realization for Luxmat .